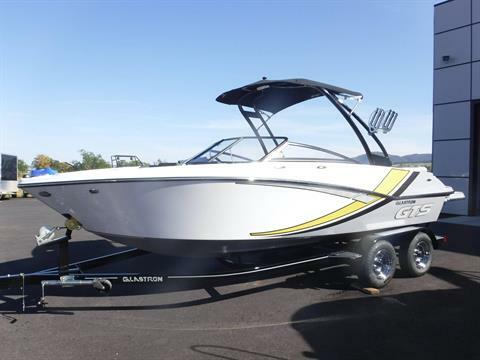 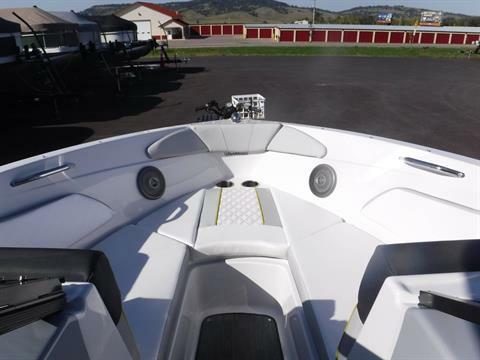 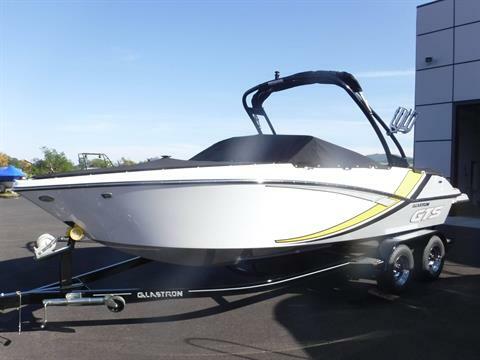 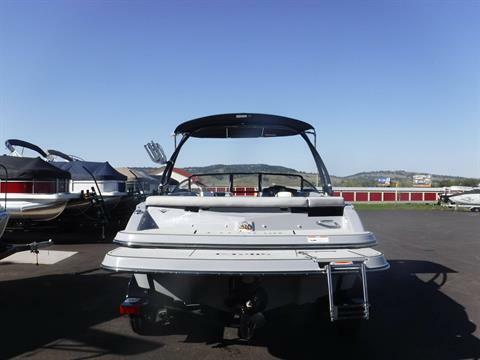 Loaded family boat that looks great at a killer price! 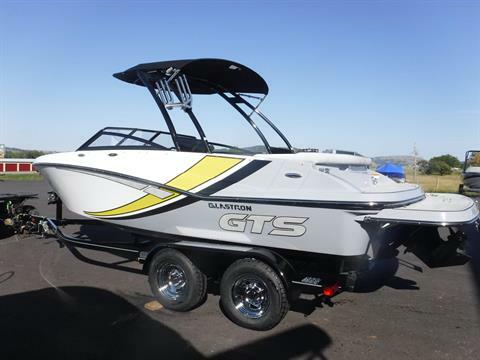 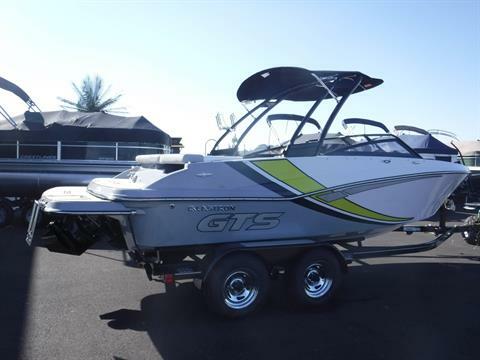 With daring GTS graphics and colors, the GTS 205 is a spacious and sporty 20’6" (Over 22' with the extended swim platform) Bowrider that has everything you’re after—style and performance. 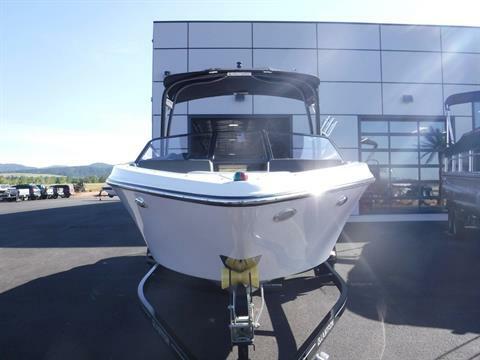 On board you'll find bucket seats with flip-up bolsters, a sundeck, and an abundance of storage space. 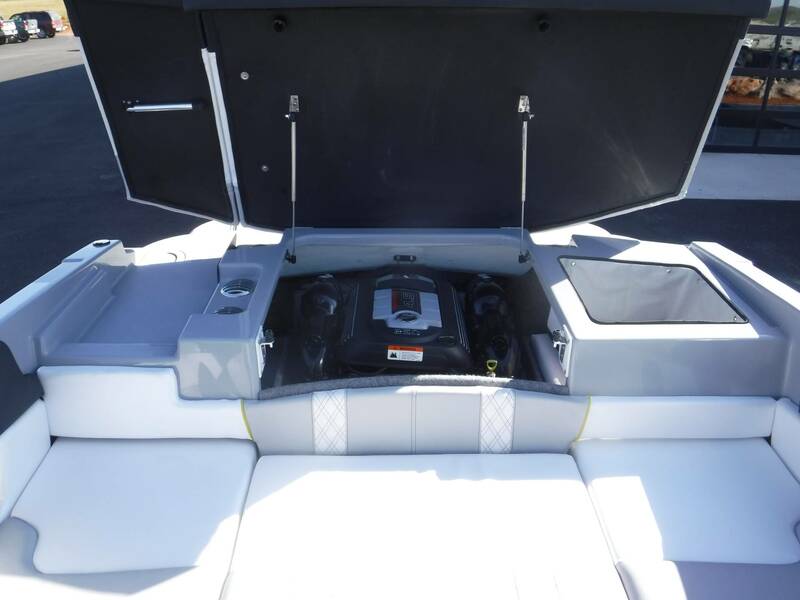 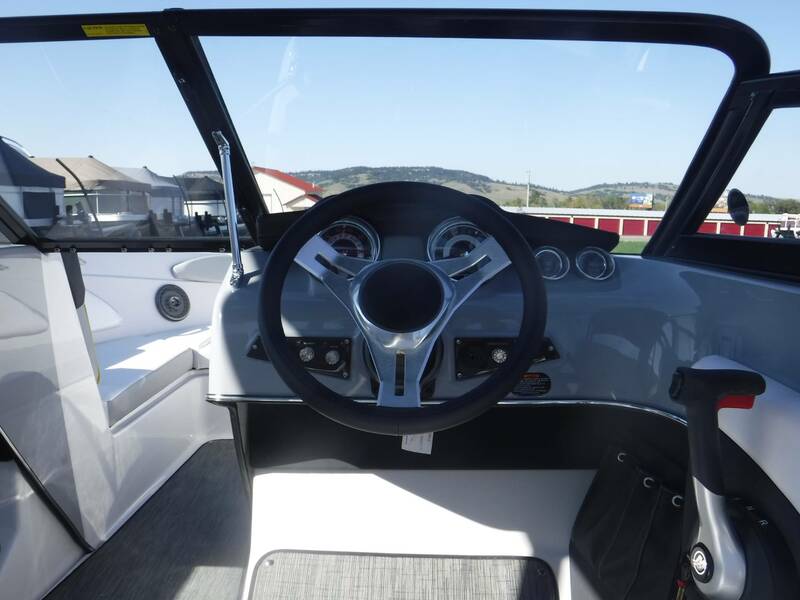 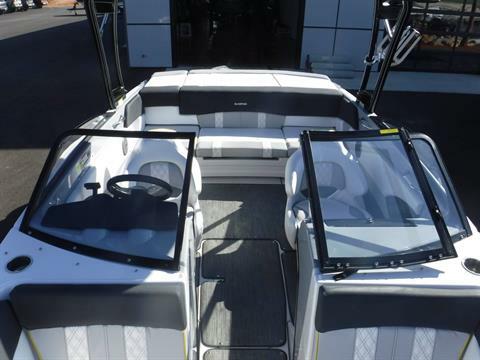 Don't miss out on fitting your baby to meet the demands of your fun; plenty of additional features such as the XL Package, extended swim platform, and wakeboard tower allow you to personalize your boat from the ground up. Bring the family over and take a trip to your favorite spot or churn some wakes along the way—the summer is yours with the GTS 205. 10 reasons to grab this premium GTS: 1) L-shaped wraparound pull-out chaise seating. 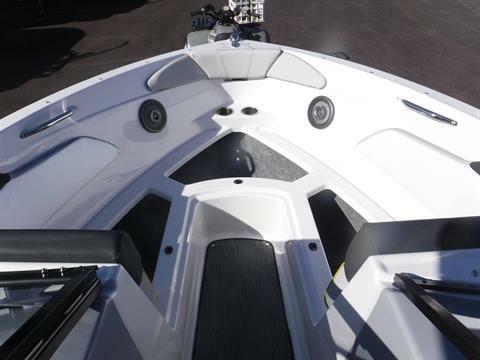 2) Wake Tower for watersports, but will quickly fold down for garage storage. 3)Wakeboard rack for holding your boards out of your boat, giving you more comfort within. 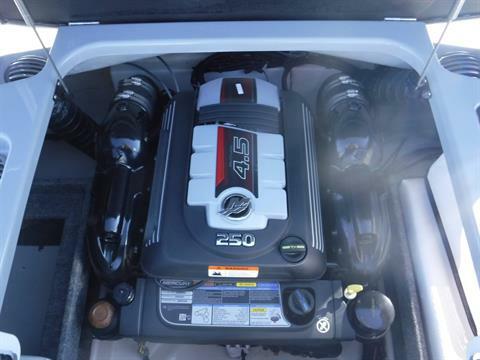 4) Custom snap-on covers for protecting your investment. 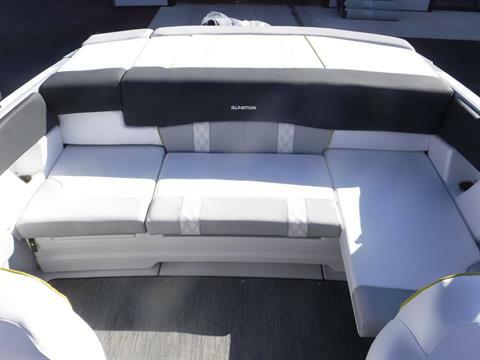 5) Bimini top that is integrated with the tower for those hot summer days (delete and save $450). 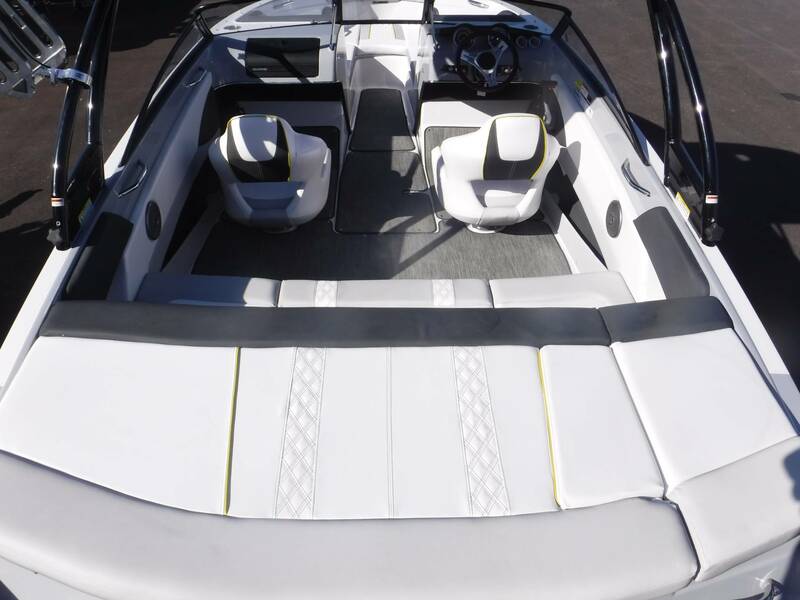 6) Premium GTS Diamond-stitched interior. 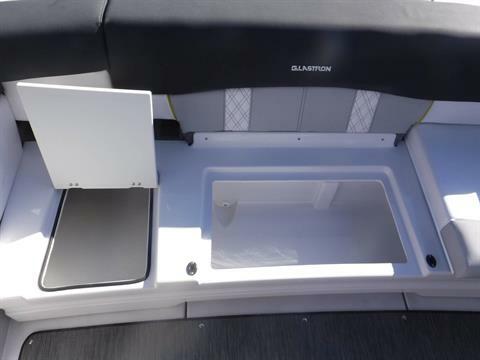 7) Built-in walk-through to the stern so no one ever steps on the upholstery. 8) All new color scheme- Steel Grey/Atomic Yellow! 9) MerCruiser 250 Horsepower! 10) Tandem Axle trailer for easy towing/backing. 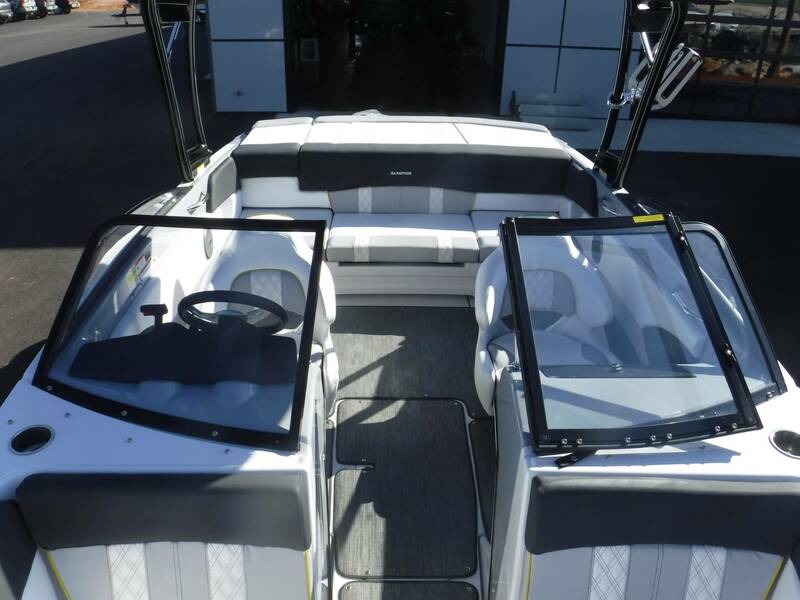 Other options: XL Pkg, Convenience Pkg (depth sounder and hour meter), Full walk-thru glass windshield with full side-glass, Docking Lights, cockpit reed-mat flooring throughout (removable), flip-bolster skyview seat for driver and passenger visability, stainless steel ski/tube tow hook, telescopic stainless steel boarding ladder, premium gelcoat, Atomic graphics package, drop-down stainless steel cleats, stainless steel handles, rails, and drink holders, 360 degree rubrail protection, bow scuff plate, fog-resistant multi-function gauges, power-steering with tilt helm, a full stereo package, in-floor storage, and the popular extended swim platform (with MarineMat pad)making the boat over 22' long. 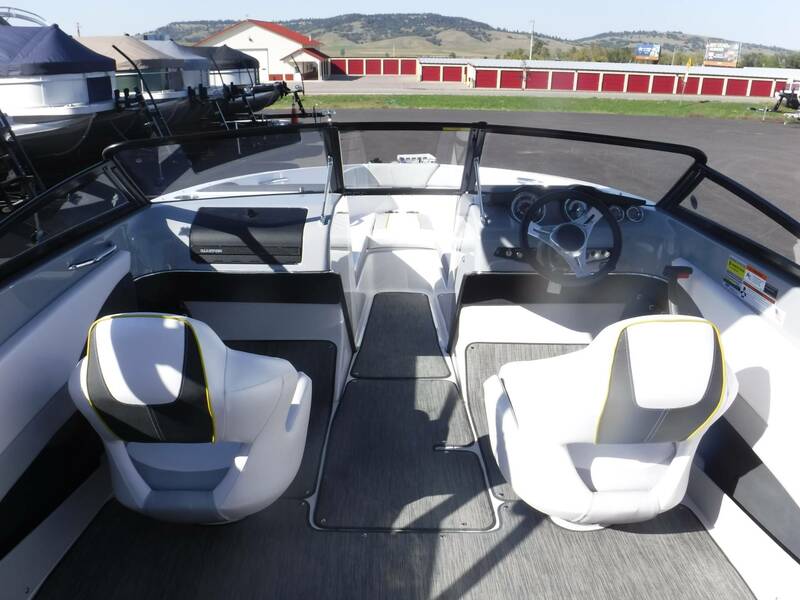 You also get a custom- matched set of bow and cockpit snap-on covers with the purchase. 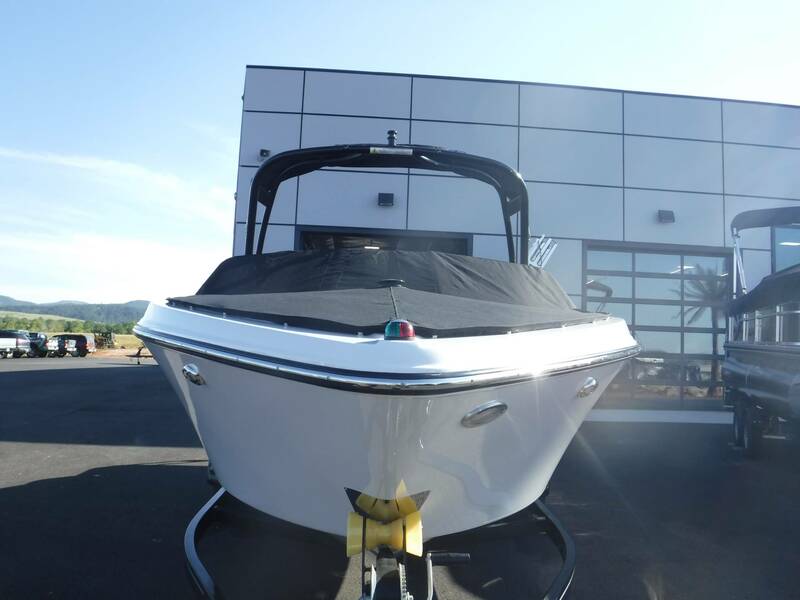 Yes, a custom tandem-axle trailer is included, with ratcheting tie-downs that stay on the trailer, swing-tongue hitch for garage stowage, and electric-over-hydraulic disc brakes! 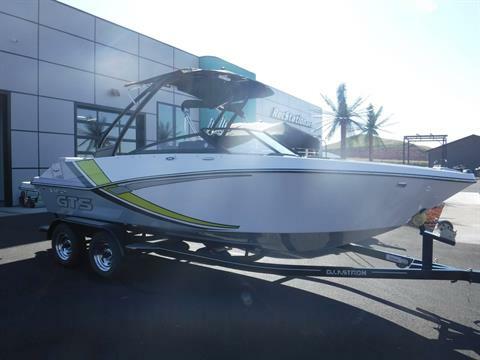 $1,995 Freight-in charge. No other fees or charges.